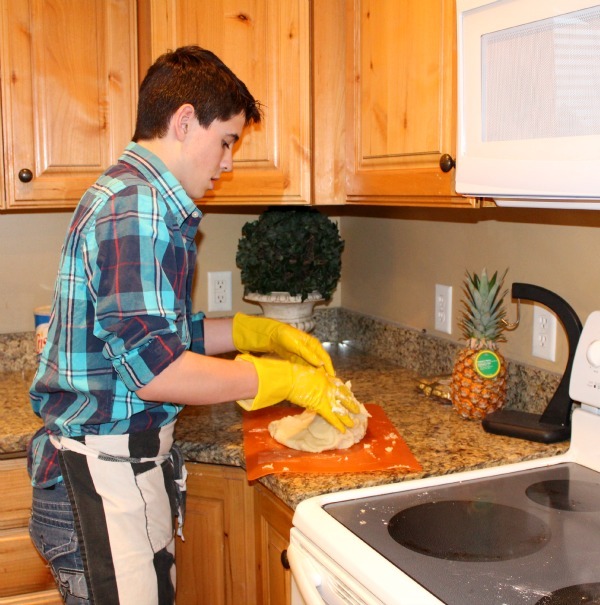 My eldest grandson, Josh (age fifteen) absolutely loves to cook. He and all five of his brothers have been cooking since they were very young. Their mom has always encouraged my grandsons to experiment with their culinary interests. 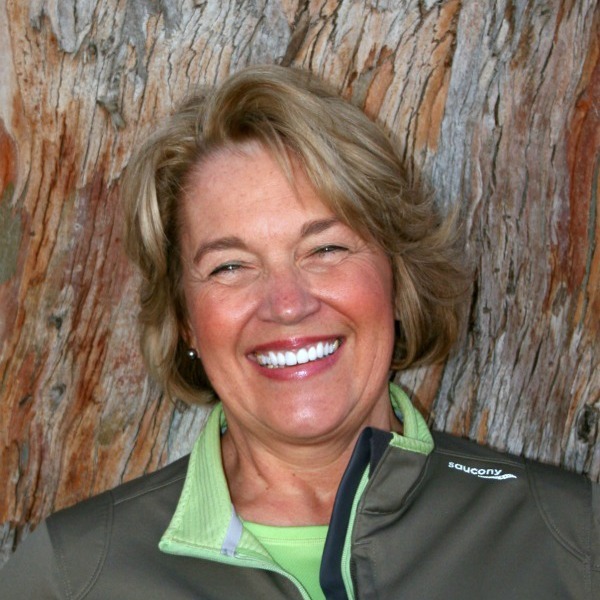 She and my son have done an incredible job raising their sons to be very independent and “prepared”. Josh, after all, is an Eagle Scout! Josh loves churros! One day he asked his mom if she would buy some for the family. She did, but soon realized that it was just too expensive. So, she told Josh that he’d better figure out how to make them, if he wanted anymore churros. So he did! 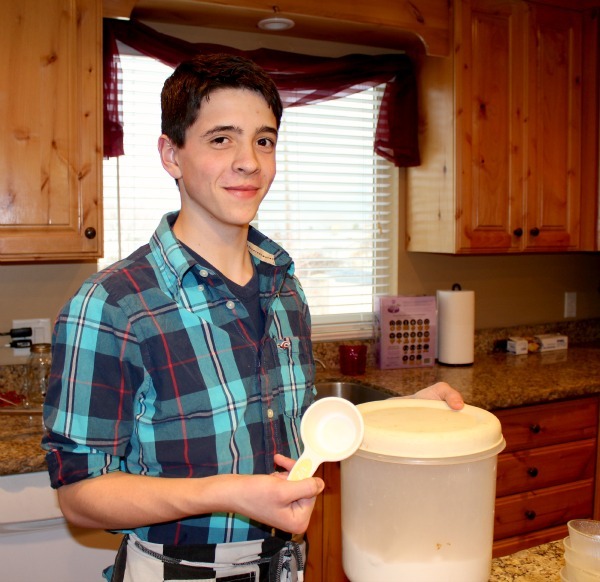 On his own, when he was in sixth grade, he searched the web and found just the right recipe on allrecipes.com. Initially, he rolled the dough into long ropes and dropped them in the deep fryer. I believe that my grandkids are the smartest and greatest in the entire world… and I’m not at all biased! 🙂 In this particular case, Josh came up with what I thought was a brilliant idea… and… he thought of it completely on his own. 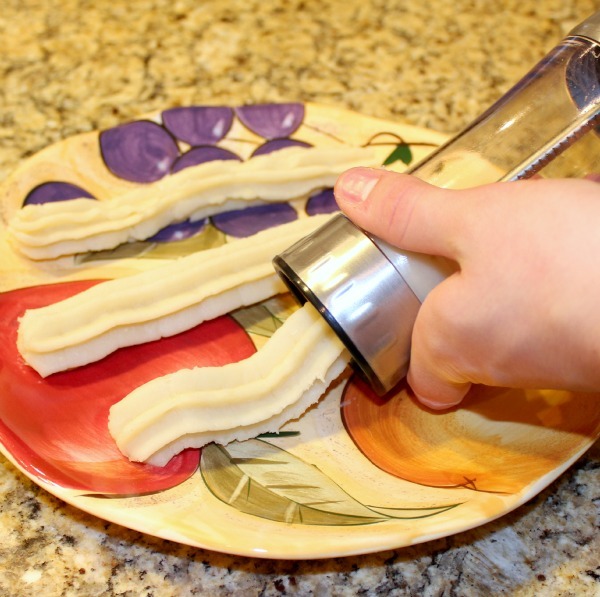 Why not use Mom’s cookie press to make his churros? 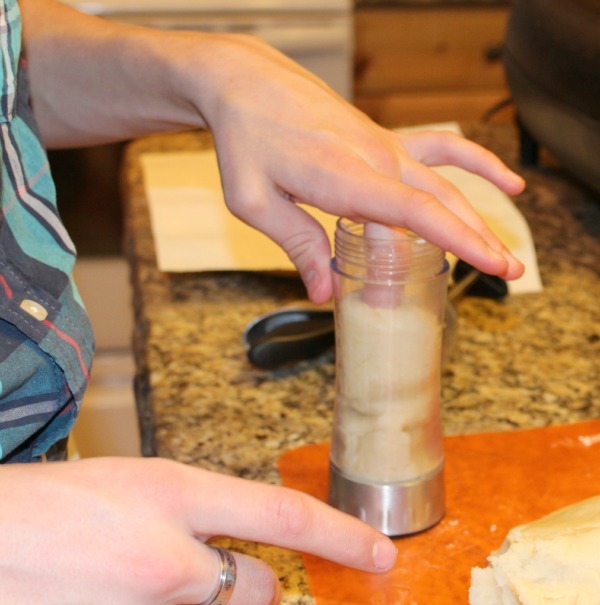 Here, he’s kneading the hot dough,using Crisco-covered gloves so as not to burn his hands. Below, he is filling the cookie press – using the “star” tool. 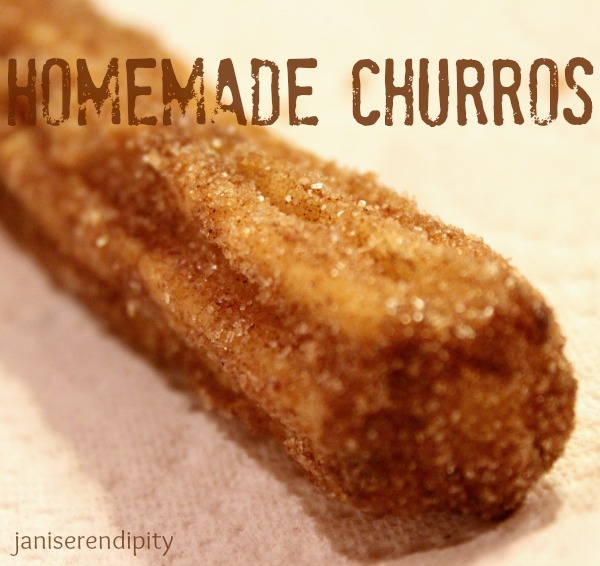 He’s making perfectly formed churros, and he can decide the length he wants! 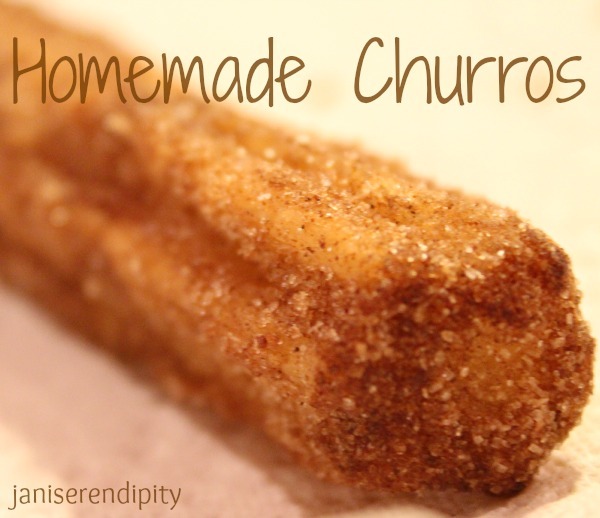 Doesn’t this churro look delicious? It was! From time to time, I will be featuring each of my grandsons from my eldest son’s family as they recreate some of my favorite recipes. I’ve decided to call this “grandson gastronomy”. 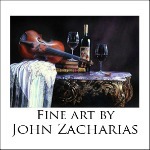 I hope you will look forward to reading these posts as much as I will enjoy documenting them. 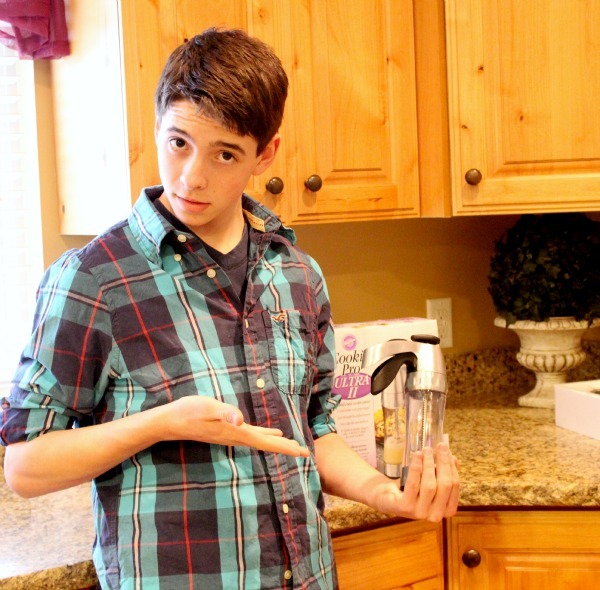 I learned so much from just watching Josh making this yummy treat! Do you encourage your children or grandchildren to use their creativity? Is it more important to you to always have a clean kitchen or do you teach your little ones the importance of exploration and creativity, even at the cost of cleaning up lots of messes? As always, I welcome your comments. Yum! We have lots of messes here because the kids are always creating. It is hard to keep up after them. What a cutie! Love that Josh. Great idea for the cookie press! I hope to one day get my grandson to cook with me.. I’m going to send his mother this link right now!! Planting seeds… That is a brilliant idea to use the cookie press! Genius! We love churros. I am totally going to use my cookie press to make some this weekend.